Does Pixpa charge any commissions on orders? What are Tags? How to use tags in products and categories? Can I add multiple product options to any product? How many images can I add to a product? Can I take orders for free products in store? Can I take preorders in store? How often can I update my store products? 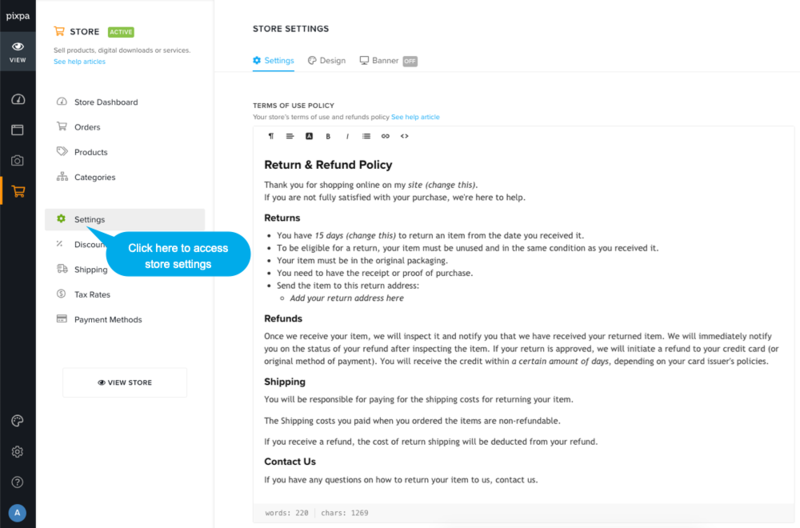 You should have clear terms-of-use and refunds and exchange policy for your store that your store customers can view and agree to before they place an order on your store.